A Christmas special – last year I wrote an article on the folklore and history woven into the lyrics of the Italian national anthem. It is neither news or science, but what is the holiday season if not to forget all about serious topics? Enjoy. Nothing excites a statistician’s heart quite like morbidity. After all, people might not care much for numbers in most things, but if there is chance it might kill you, people tend to listen. And airline safety is hardly a fringe topic. It has been covered extensively in the news, particularly after high profile events such as the disappearance of MH370 over the Indian Ocean, and the downing of MH17 in eastern Ukraine (Malaysia Airlines did not have a good year in 2014). 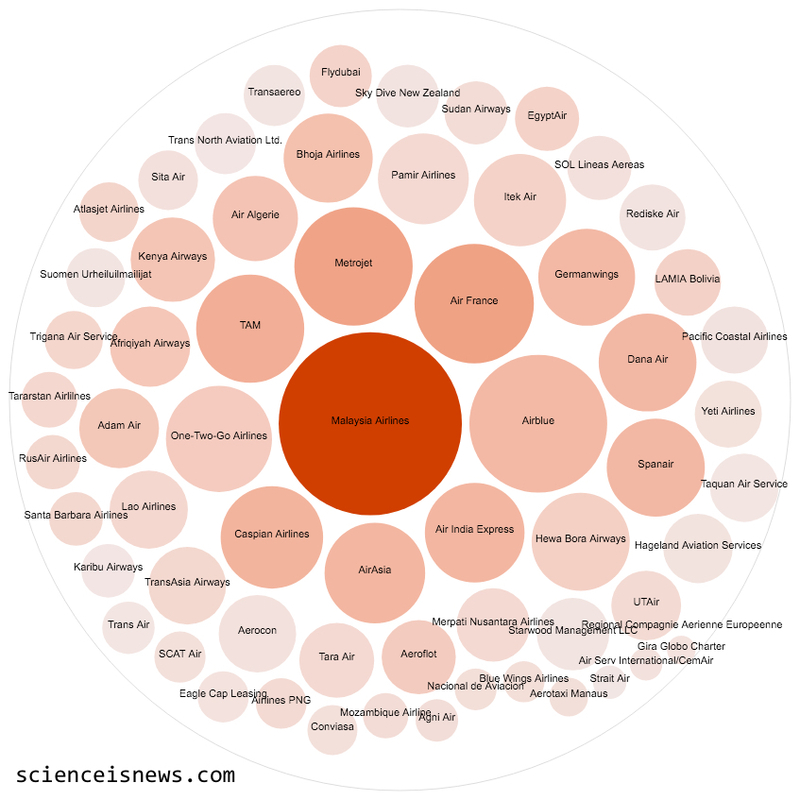 So how do we quantify airplane safety? A straightforward way to look at it, is simply to count the number of airplane crashes that resulted in at least one fatality. We will include all commercial flights, both national and international that carried passengers. This means looking at both the big airline brands, but also the more accident-prone firms flying small turboprop planes. We will exclude cargo, rescue and military flights, as they operate under very different conditions, and are arguably not relevant to the vast majority of air travellers. On the other hand, we will include any cause for the crash, both accidental (e.g. engine failure) and intentional (e.g. military action) resulting in loss of life, as long as the affected airplane is on a commercial flight. Fortunately, commercial airline accidents are pretty rare. In 2017 there were just 5 accidents that meet our criteria, with a total of 13 casualties. In fact, 2017 was the safest year on record for commercial airlines. However, it seems unfair to judge airline safety based on performance in a single year, since accidents are so rare. Equally, it would be unfair to judge an airline today by their record in the 1970s and 80s, a time when airplane crashes were more common, and many modern carriers didn’t exist yet. Instead, we can look at a 20-year window (1997-2017) to get an idea of the relative safety of different airlines. As you can see, not one airline has a monopoly on airplane crashes. Most airlines on the list have suffered one or two deadly crashes, with the largest number being 3 for Hageland Aviation Services, a medium-sized provider operating out of Anchorage, Alaska. Many big names such as Delta, Lufthansa or KLM have not suffered a crash leading to fatalities in the last 20 years. 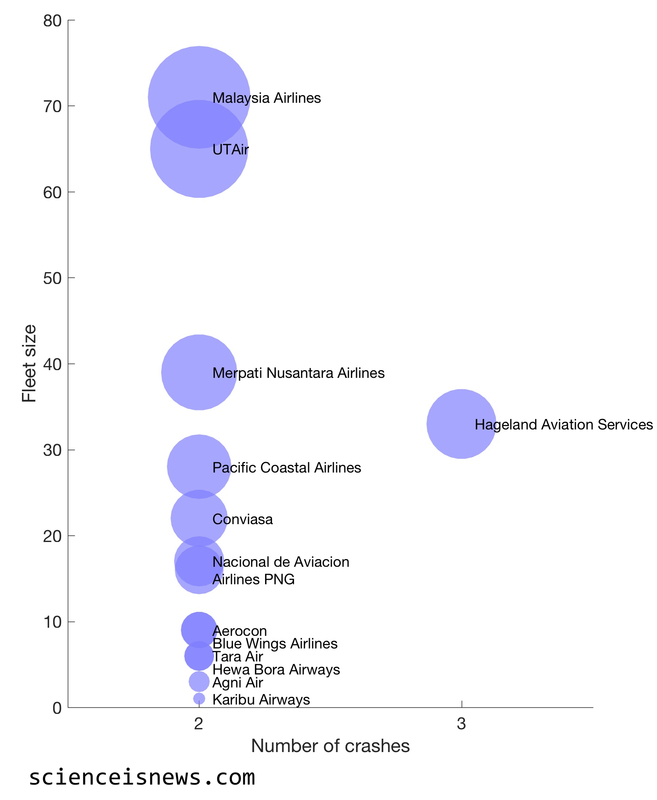 Perhaps more interestingly, we can consider how many crashes airlines experience in relation to their operation size. If an airline operates many flights a year, we would expect an accident to occur eventually. Equally, if an airline operates few flights but experiences a large number of crashes, that is cause for concern. To simplify the process, we will only consider airlines that have experienced two or more crashes in the last 20 years. The number of flights operated are difficult to ascertain, and is a number that fluctuates from year to year. Instead, we will take the fleet size – that is, the number of airplanes registered to a given airline – at the most recent time of operation, and compare it to the number of crashes it has experienced. it is evident from the data that there is no relation between fleet size and the number of crashes. We have very small operations such as Karibu Airways with a single plane, all the way to Malaysia Airlines, one of the largest operators in the world with 71 aircraft in operation. So far, we have looked at the frequency of crashes, but what if we looked at the deadliness of crashes? Do any airlines stand out? Here the size and colour correlate with the total number of fatalities across all crashes for that airline in the 20-year window. One clear stand-out is Malaysia Airlines. The two crashes we mentioned above, MH370 and MH17, make up a total of 537 casualties, which is by far the largest loss of life in commercial aviation in the past two decades. Both Air France (in 2009) and Metrojet (in 2015) suffered crashes leading to the loss of 228 and 224 people, respectively. Interestingly, there is no clear relationship between fatalities and airline – not by fleet size, geography, or other indicators. Where a value approaching 0 means most people on board perished, while a value approaching 1 means most people on board survived. First, some bad news. Most airplane crashes that result in a fatality tend to be bad. Of the 220 crashes involving at least one fatality in the last 20 years, 128 of them resulted in the death of all passengers and crew members. The average survivability of crash is 0.24, meaning on average, only around 24% of people on board survived. The good news is that there are a few airlines with lucky breaks; Asiana and Dagestan Airlines for example, both experienced emergencies with large numbers of passengers (100+) and managed to land with few casualties. Of course, there are many airplane accidents that do not result in fatalities, but of those who do, these are the lucky ones. As a final point, it is worth stressing that air travel remains, on average, an extremely safe method of transport. While every single of these deaths is a tragedy, a total of 5,979 deaths in worldwide commercial aviation deaths over 20 years, or around 300 per year, is a tiny amount. You are over twice as likely to die cycling in the United States (818 fatalities in 2015) or around 4000 times more likely to die in a road traffic accident worldwide (estimated at 1.25 million deaths in 2013). So continue flying, and rest assured that no matter which airline you choose, you are using probably the safest method of transport. Airplane accident data from planecrashinfo.com and dot cluster illustration made with RAW Graphs. An honourable mention is due to an intoxicated man who, on the 11th June 2012, stole a Antonov AN-2 and crashed it near Serov, Russia. Official cause of accident: Illegal Flight. How wrong are the UK election polls? Representative polls of voter intention are our best tool for forecasting how an electorate will vote in a free and fair election. On the 8th of June 2017, the United Kingdom will go to the polls once more to elect members of parliament, with the Conservative party seen as the favourite to win, and the opposition Labour party (as of 3 days before polling day) seen as quickly gaining momentum. This election is unusual in many ways, but one glaring feature is the widespread distrust of polling forecasts from all sides of the political spectrum. This is unsurprising, given that the majority of polls failed to correctly forecast the 2015 general election or the 2016 referendum on the UK membership of the European Union. But are polls really that bad? 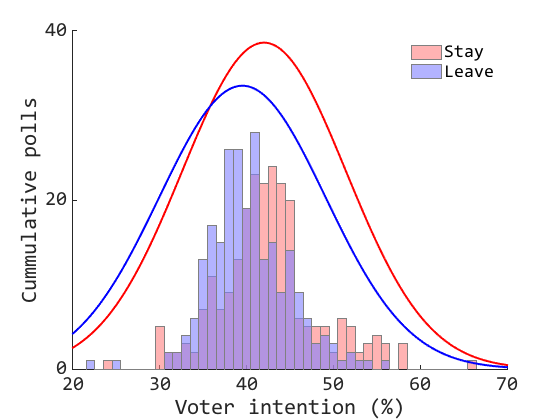 After all, we know voting intention polls are imperfect; they have small sample sizes, may be biased by methodology, experience short-term swings by current events and struggle to reach certain demographics. Pollsters typically claim a margin of error of ±3 percentage points, based on internal validation of their methods. Fortunately we have another way of quantifying just how bad the polls are at forecasting election results – looking at past elections. To assess this, I collected published polls on voting intention for the two major parties (Labour and Conservatives) between the announcement of a general election and polling day going back to 1992. To quantify the error, we can take a snapshot of the polls and compare the forecast against the outcome of the election. We often look at averages of polls, because any given poll will be subject to noise; either because any given sample will never be perfectly representative or because of biases in the methodology used by the pollster. And because opinion changes with time, we tend to look at the most recent polls. 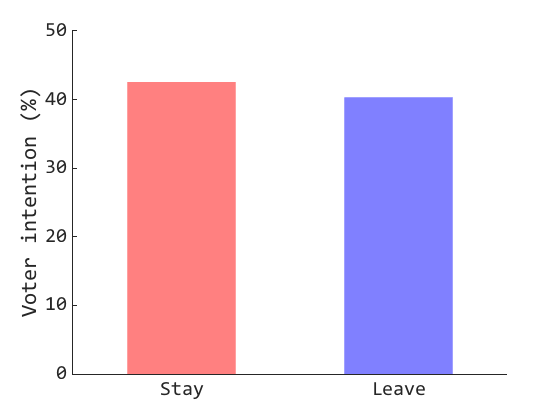 Here we have two alternatives, an average of all the polls conducted during the campaign period, weighted for recency, and an average of the last seven poll before polling day, as favoured by UK newspapers. The mean error between polling averages and election results for this period is between 6 and 7 percentage points, depending on how you average polls. Clearly, this is not a very good forecasting model when elections over this period were decided by an average vote difference of 7 points between the two major parties. In other words, a typical post-1992 UK election is, on average, ‘too close to call’ based on polling forecasts with the error margin being as large as the point difference between the parties. With a weighted average of polls since the election was called on 19th April, the Conservatives stand with a more than ample margin of 18 percentage points. However, recent weeks have seen Labour clawing back some territory, with the last seven-poll average putting them 7 points behind the Conservatives. Based on the error rates self-reported by individual pollsters, or long-term projections this places us within safe territory for the Tory party. However, if we wish to take the recent polls and looking at the historical accuracy of poll forecasts taken as a cumulative model, it places us within a possible polling error upset. 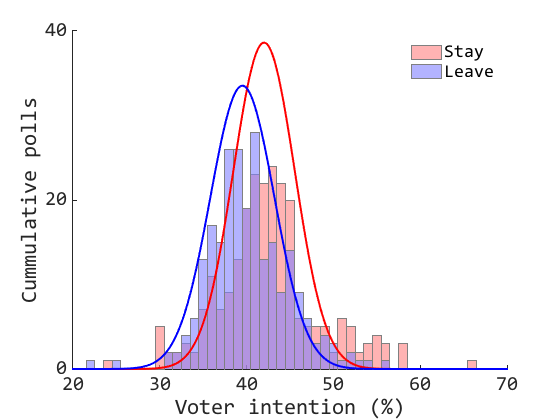 Taking the 60-odd polls conducted in the last month, we can model voter preference for the Labour or Conservative party as a normal distribution, which approximates the data fairly well. We can then ask what is the probability that a larger share of the electorate votes for the underdog than for the favourite, i.e. a forecast upset. For the model derived exclusively from 2017 polling data, we can expect a 5% chance of an upset, which places the Conservatives in a secure place. However, the polling error rate is not well reflected in the internal variance of the polling sample, so we can adjust the error rate by the expected range seen in the historical data, i.e. ±7 percentage points. This simulation gives us a probability of a forecast upset of 11%, or to put it another way, if pollsters are making the same errors since 1992, there is a 11% chance they have wrongly forecast the Conservative party as securing more votes than the Labour party on the 8th June. However, it should be noted this is not the whole story. UK general elections are not decided by a single party capturing the plurality votes, but by forming a majority in Westminster through a byzantine system of local seat elections. The First Pass The Post system results in a winner-take-all outcome for individual constituencies. 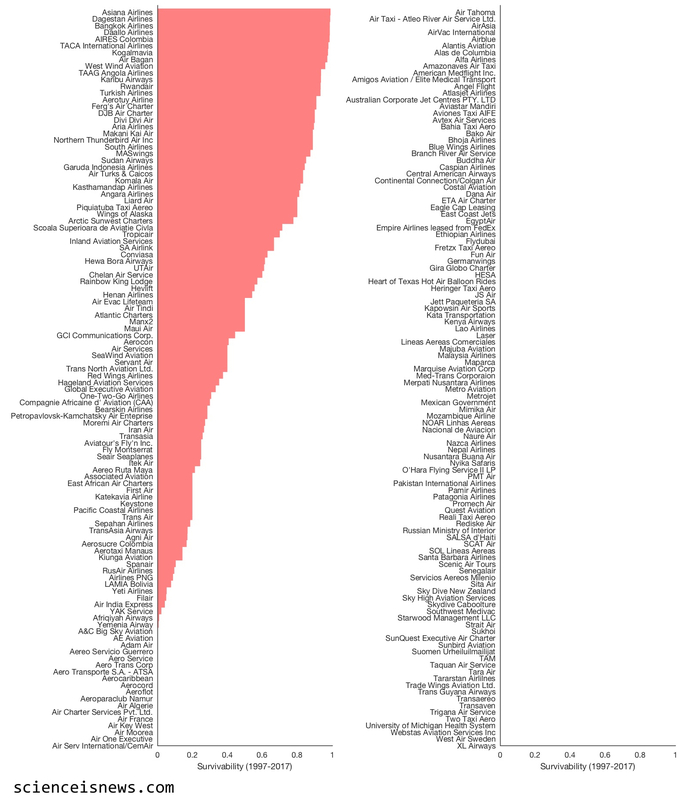 If one candidate secures more votes than any single other candidate, they can, and often do, win the constituency with less than 50% of votes, meaning a majority of votes in that constituency did not contribute to the overall outcome of the election. Much has been written about First Pass The Post, but suffice to say for our discussion that this system makes translating voter intention polls to parliamentary seats a notoriously tricky problem. Second, UK governments can be formed by political coalitions when one party does not hold absolute majority in the House of Commons, as happened in 2010 when a Conservative and Liberal Democrat coalition assumed power. In this scenario it is not the overall majority of parliamentary seats that matter, but the proportion of seats controlled by each party. Both of these complications mean a forecast purely based on the share of the vote captured by each party is an insufficient model of the UK general election, and with a large error rate based on historical performance to boot. What should we make of this? As it stands, the Conservatives retain a comfortable lead, but the error margin is much larger than you might guess by looking at 2017 polls alone. While it might be tempting to keep checking the worm of public opinion swing up and down on daily poll trackers, remember to take it with a pinch of salt. Polls are weighted with an exponential function, giving larger weights to polls conducted closer to polling day. 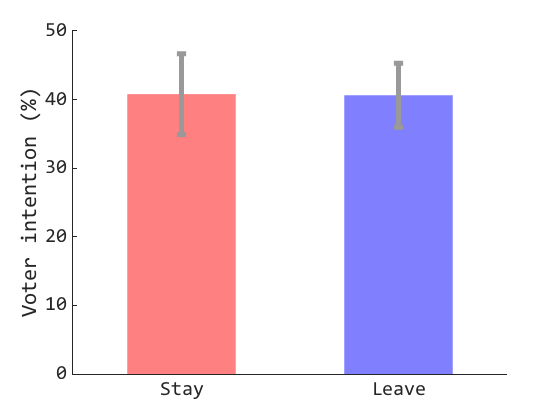 For the simple seven-poll average, no weighting was applied. The Gaussian model explains >99% of the data (R2 = 0.9994). This model includes all publicly available polls carried out between the day the election was called (19th April 2017) and the time of writing (5th June 2017). The model does not weight samples by recency, nor by accuracy of the pollsters, both of which would be sensible additions for future models. 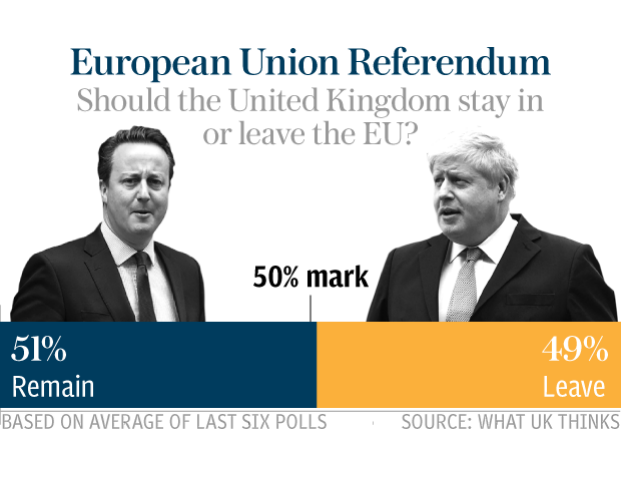 Polling data were obtained from UK Polling Report and Opinion Bee. There is a never-ending stream of UK election poll trackers, but I recommend checking out the Financial Times, Economist or Guardian for their sound methodology and excellent visualisations. Ah, it’s spring; the flowers are out, the sunshine pokes through the clouds and the smell of democracy is in the air. No, I am not talking about the Ghanaian or Philippine general elections, which are indeed taking place this year, or the whooping 8 elections and 1 referendum taking place in the United Kingdom. I am of course talking of star-spangled democracy with a capital D – the 58th United States presidential election. As discussion of the presidential candidates heats up in the media, the casual reader might be forgiven for thinking this campaign has been going on for years. In fact, much has been written about the perceived length and strain of the presidential campaign, with many commentators labelling it as ‘absurd’. This piqued my interest and made me wonder if the US election race is truly an interminable soporific, or whether it could be attributable to perception alone. After all, the US is a world leader in most international matters, and the election of the president is the high point of the political calendar, so extensive news coverage is to be expected. 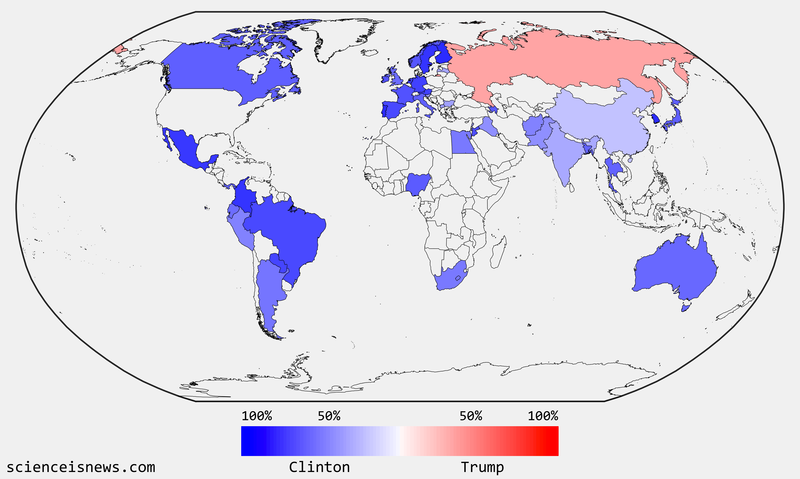 To find out, we will need to compare the length of the US election to equivalent elections in other countries. I have chosen to do this with the other 33 OECD nations, the rich-world club of industrialised economies that are most similar to the US in terms of economic prosperity and demographic makeup. Now, defining an election campaign is a tricky business. Some countries like Canada and Australia limit the duration of a political campaign by law, but most don’t. Others like Slovakia limit the funds available to each party for campaigning, while others have free-for-alls. Ultimately, we are interested in the number of days viable candidates do spend campaigning for their election in a major race in a given OECD country; be it general, presidential or parliamentary election. We will therefore have to make some rules. When no legal limit is imposed, we will take the number of days between the first announcement of a major candidacy (so no Monster Raving Loony Party) and voting day. This works well for most countries except for the Scandinavian nations, where candidates typically don’t launch their campaign individually, but rather their party does. In such cases, we will take the last date for valid submission of candidacy as the starting point, and voting day as the end. In all cases, when legal limits are not present, we will use the last major election as indicative. 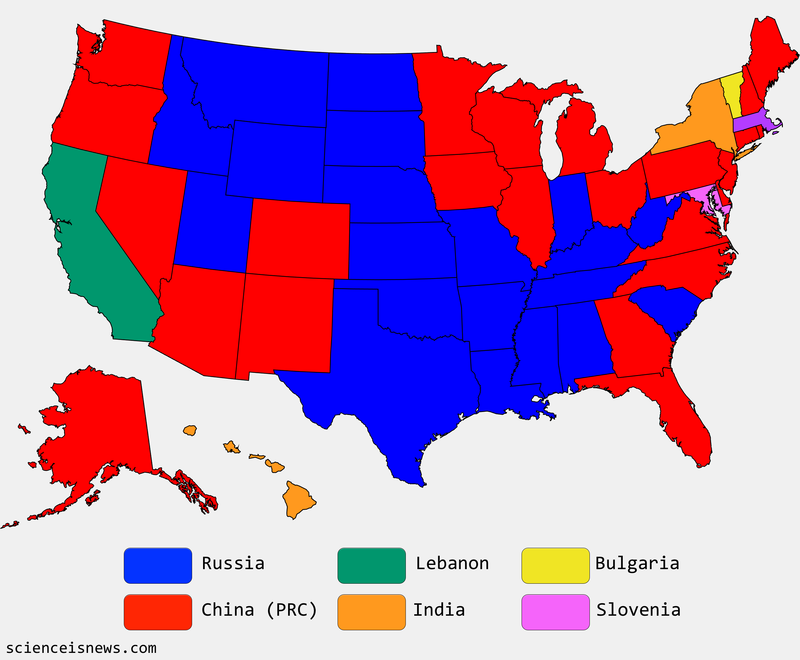 The United States is, unsurprisingly, an oddball case here. We can divide the US presidential campaign into two halves. First, the time between a major candidate announcing their intention to run for office and the party national convention, can be considered the first leg of the race. Following the convention, each party selects a candidate and the second leg goes from nomination to election day. A few other countries conduct this out-of-season political campaigning, most notably Italy, so we have included those as well. For the 2016 presidential race, Hillary Clinton was the first major candidate to pronounce herself on 12th April 2015 towards the Democratic convention in late July 2016. The race then goes on until Election Day on the 8th November. How does that compare to the other OECD nations? By a wide margin, the United States remains the undisputed leader of absurdly long election races. 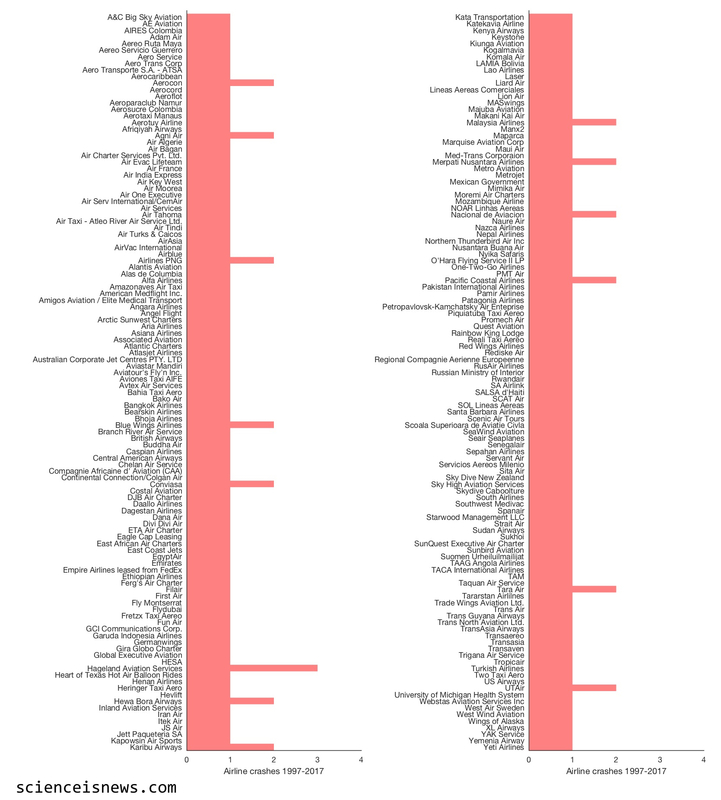 South Korea and Italy are notable outliers, both countries that engage in similar pre-campaign campaigning; but at a mere 241 and 190 campaign days in their last electoral cycles, they are dwarfed by the gigantic 576 days of US presidential campaigning. At the other end of the scale, Japan imposes a restrictive maximum of 12 days of political campaigning, with heavy fines for any infractions inching over the two-week line. Regulating campaign time is a comparably crude method by which countries limit political opinion making. Regulating party financing is arguably a much more effective way of doing this, and much has been written about the successes and failures of financial approaches. Alas, the US election remains, as of now, a wide field of possibilities for financial backing of political campaigns. And while that continues to be the case, we are likely to continue enjoying the marathon races that make up the US presidential election. While researching this article, I discovered the curious practise of electoral silence, where countries impose a complete ban on political advertising or campaigning on the day, or the day immediately before, an election. These range from a reasonable 24-hour ban in Bulgaria, to the ludicrous 15-day ban on polling in Italy. In Spain, this day preceding an election is delightfully called “reflection day”. Perhaps we should all reflect on that. If it feels familiar, it’s because we have heard this story before. Specifically, in late 2014 when Michael LaCour and Donald Green published a flashy article in Science claiming a short conversation with a door-to-door gay canvasser was enough to change people’s opinion towards gay marriage, and maintain that opinion nine months later. The study received wide coverage, both for the large implications for political campaigning and reducing discriminatory bias, but also for the feel-good factor of the power of human interaction. “At least”, exclaimed the campaigners, “here is science proving human connection can break down prejudice”. Alas, it was not meant to be. In May the following year, Broockman and Kalla, two graduate students at University of California, Berkeley published a comprehensive critique of LaCour’s paper. A thorough statistical analysis of the original data, as well as following up on the survey companies used for the study revealed several irregularities, which were hard to explain without accepting the data had been falsified. Shortly afterwards, the original paper was retracted. So far the story is unusual, but not surprising. Cheating in science happens on occasion, particularly in the glamorous, high impact journals like Science. The story was a disappointment for LGBT campaigners, but a small victory for open science and the public availability of data. And that should have been the end of the story, except for those two graduate students back in Berkeley. Broockman & Kalla’s were deeply interested in the LaCour paper in the first place (they did write a 27 page analysis on it, after all), not because they set out to debunk it, but rather because they were planning their own follow-up study on canvassing techniques and opinion shifting. That follow-up study is now published, and much to everyone’s surprise it seems to broadly agree with the trend in the (allegedly fraudulent) original paper. This new study shows that a 10-minute conversation with a canvasser can change people’s opinion about transgender issues in a similarly long-lasting way. But importantly, and here is where the study differs from LaCour’s interpretation, this effect is seen even if the canvasser are not transgender themselves, changing the focus of why the effect occurs. The original study was all about humanising an issue – by exposing voters to real, flesh-and-bone gay activists their opinion can be shifted by linking the issue to the person at their door, or so the logic ran. With their latest findings, Broockman suggests instead that the success of canvassing relies on a particular perspective-taking technique, and not with exposing prejudiced individuals to a gay or transgender canvasser to humanise them. Many of the positive design features in the new study came about from the LaCour debacle. Recruitment techniques, canvassing methods and the perspective-taking approach were all informed by the ensuing debate, fine-tuned over the course of the fallout, and it could be argued that this new study wouldn’t have been as successful without it. This story is therefore a tale of good science. By making the data for LaCour’s original study public, the irregularities were exposed and a better study came out of it. We found out the original interpretation was likely inaccurate, and now have a better idea of what works when changing people’s opinions (whether the interpretation of the original data has any validity in light of the alleged fraud remains an open question). Most tellingly, Broockman and his colleagues remain committed to open science, having seen the benefit of inspecting other scientist’s data. They have published all of the data and code for their study, in case any amateur sleuth wishes to take a magnifying glass and scrutinise their findings – and, as we have learned, that can be a very good thing indeed. Broockman & Kalla (2016) was published in Science, along with accompanying commentary. Some great coverage of the story has featured in NPR, FiveThirtyEight, and Wired.